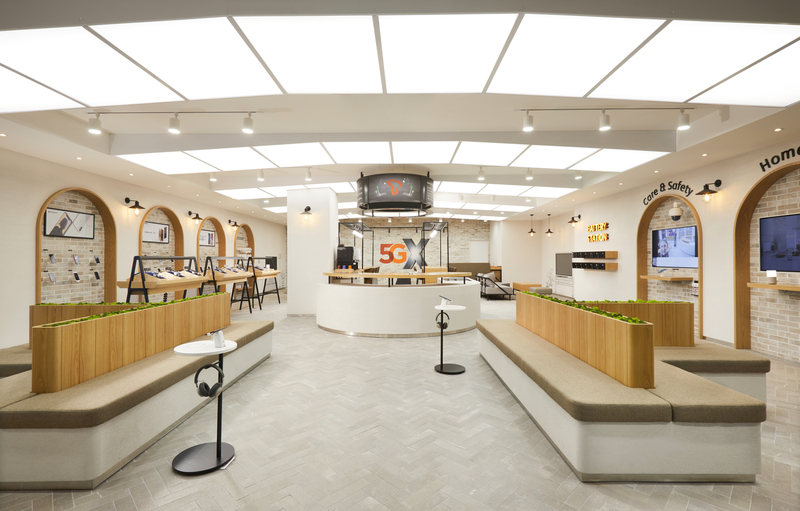 SKT is matching the latest trend in distribution to develop the next-generation premium store, applying cutting edge technology and experience with new customers. 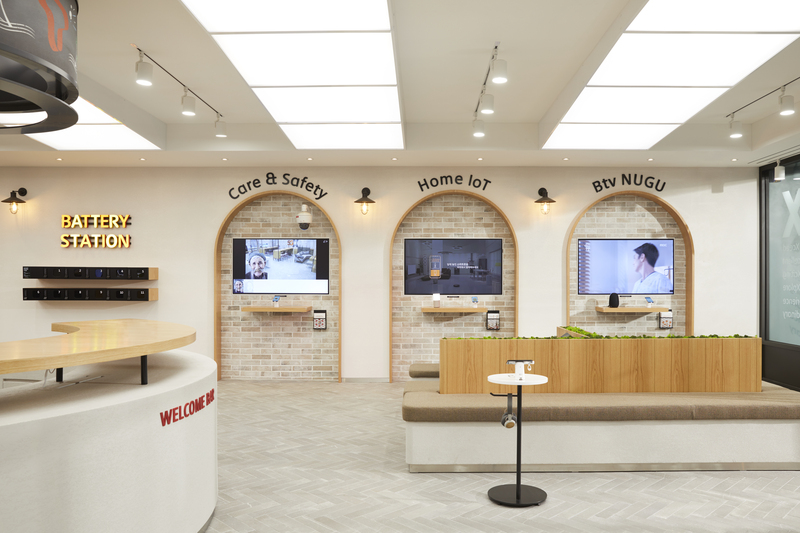 Citrus has carried out market research, customer research, and SKT internal research as an effort to develop a space that can create a new customer experience and future value as Korea’s leader in ICT. Through such efforts, Citrus discovered T-Marche, the direction for SI design, and new services. T-Marche stands for a space that resembles a marketplace, in which free trade takes place and people can taste food and experience things without feeling any burdens. For this, the existing CS zone-oriented traffic that only offered consultation was transformed into a Welcome zone-oriented space extending to diverse other areas. 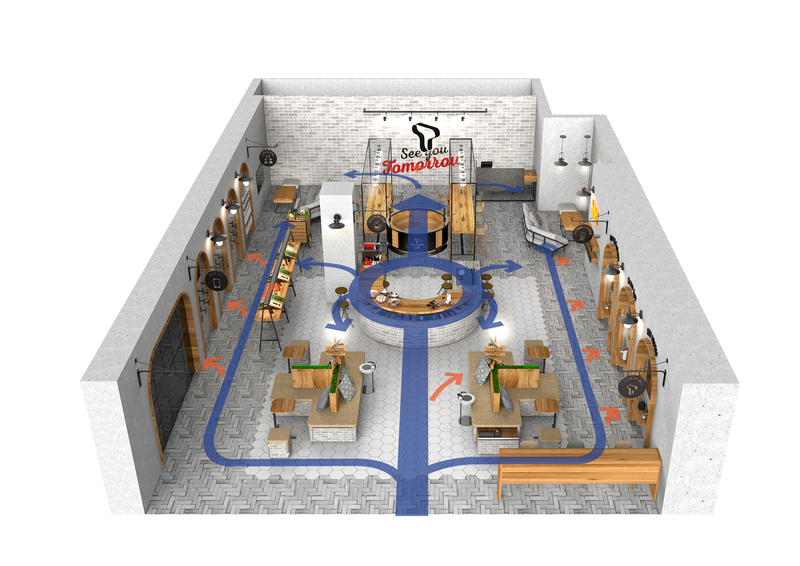 Through this, customers are able to freely look around the store and experience diverse experiences offered such as the PR Zone, Experience Zone, etc. that are all connected. 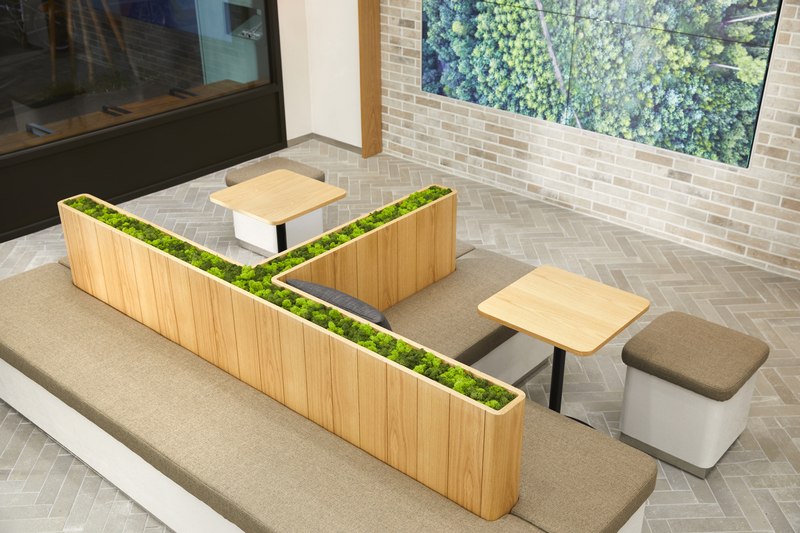 The Experience Zone that offers a diverse range of services was designed as a cast-in arch structure so that customers can use each service independently and feel like they are in a private space. The most accessible area of the store, we placed a T-shaped table and mobile chairs here so that customers can freely rest and receive consultation in this space.